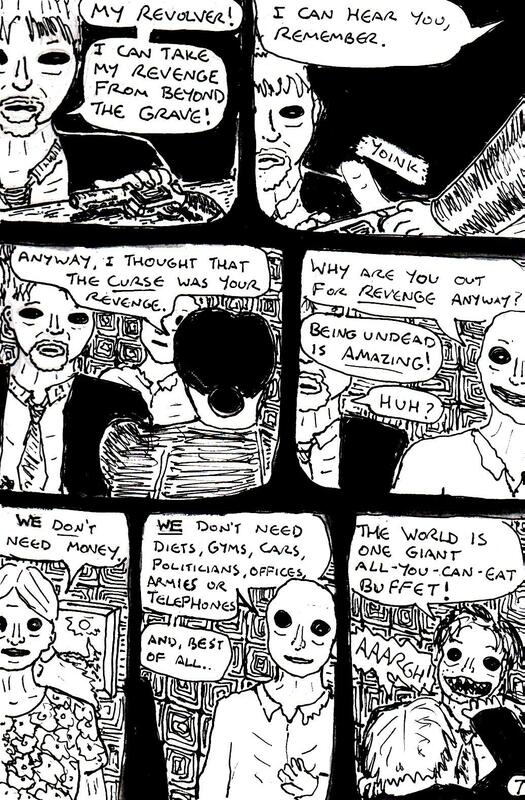 Well, in case you missed it, I thought that I’d compile a complete version of the daily horror/ comedy/ sci-fi comic that I’ve been posting here for the past week or so. 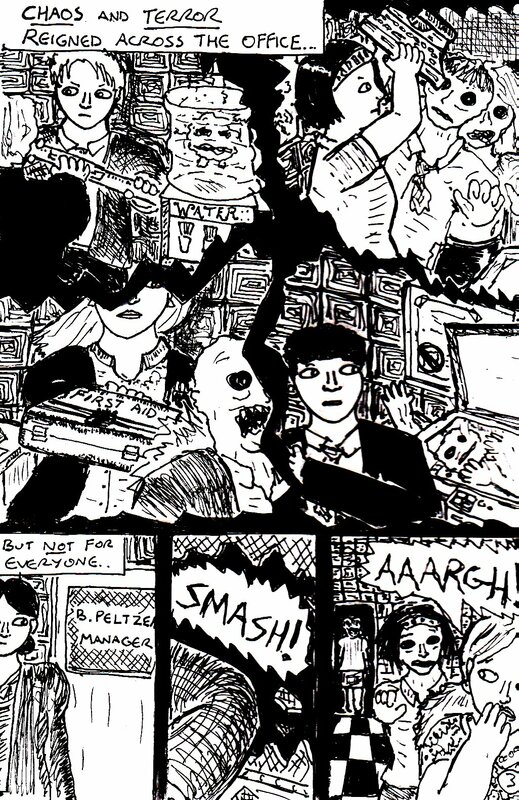 It’s a comic called “Dead Sector” and it’s inspired by old 1940s/50s American horror comics, amongst other things. I personally like to think that it’s “so bad that it’s good“, but judge for yourself…. As usual, all of the comic pages in this post are released under a Creative Commons BY-NC-ND licence. Likewise, you can click on any of the images in this post to see a larger (and more readable) version of them. Yes! 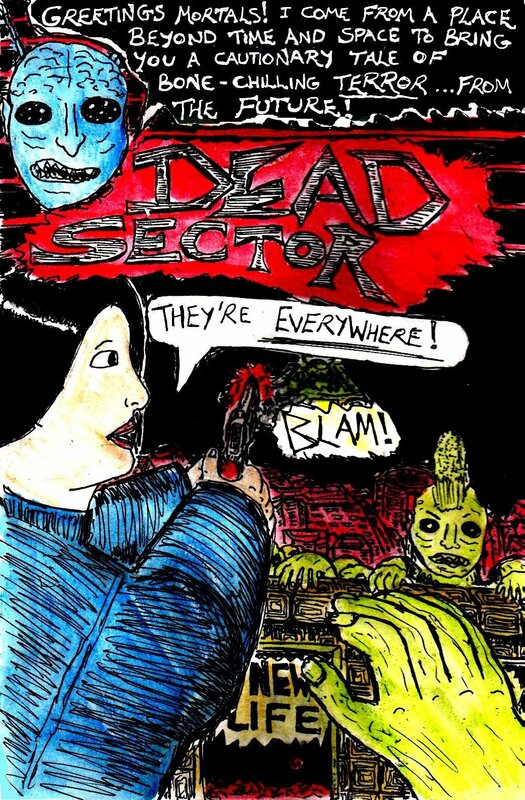 It’s the dramatic conclusion of “Dead Sector” – my ‘so bad that it’s good‘ retro sci-fi zombie comic. This comic has been an absolute joy to work on and I’d like to thank you all for reading it 🙂 I’ll probably post “ordinary” daily paintings here for the next couple of days, but stay tuned for another comic soon. 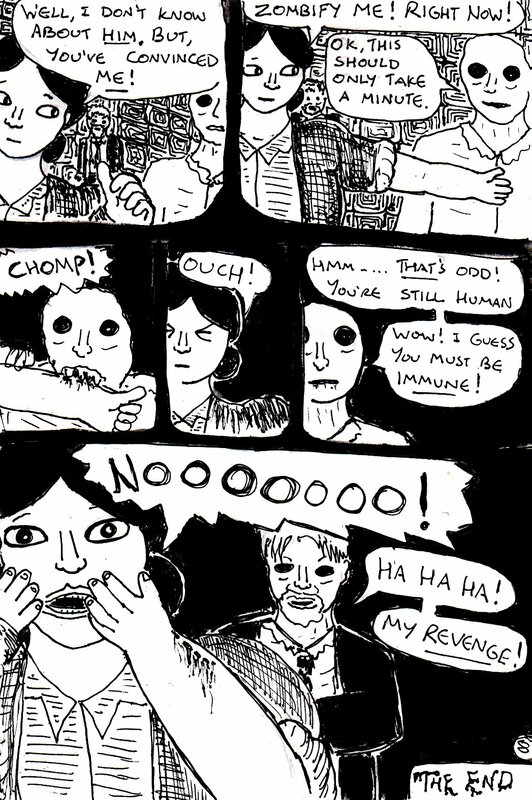 Interestingly, the ending of this comic was originally going to be slightly different. For those who like alternate endings – the comic was originally supposed to end with Janet teaming up with the zombies to eradicate the rest of humanity (and, in a dramatic plot twist, it would have been revealed that Janet was actually shooting humans – rather than zombies- in the picture on the cover page). But, shortly before I made this page, I thought of a much better idea for the ending – which was more in keeping with the endings of the old 1950s horror comics that “Dead Sector” was inspired by. As usual, this comic page is released under a Creative Commons BY-NC-ND licence. 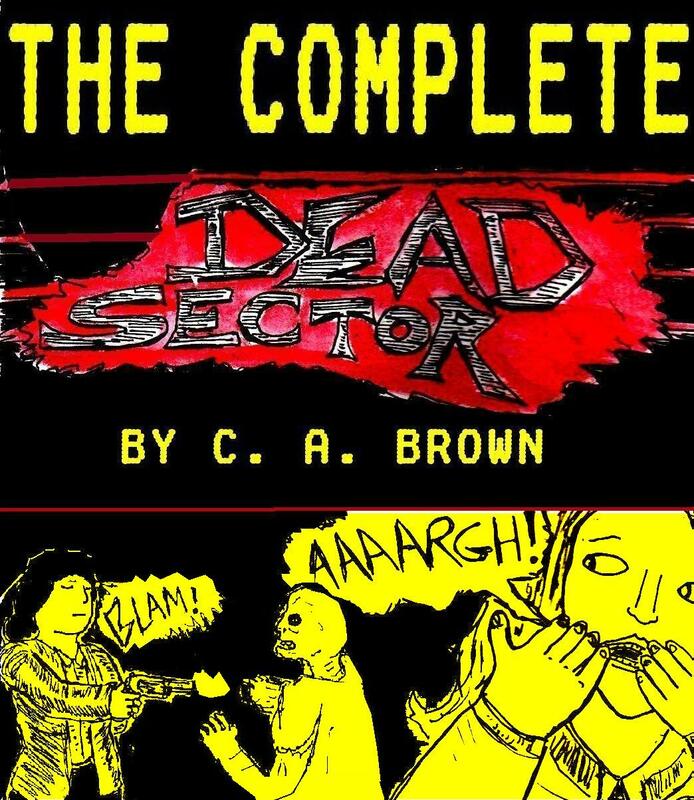 Yes, it is another bone-chilling instalment of “Dead Sector” – the short daily retro sci-fi zombie comic that is “so bad that it’s good”! 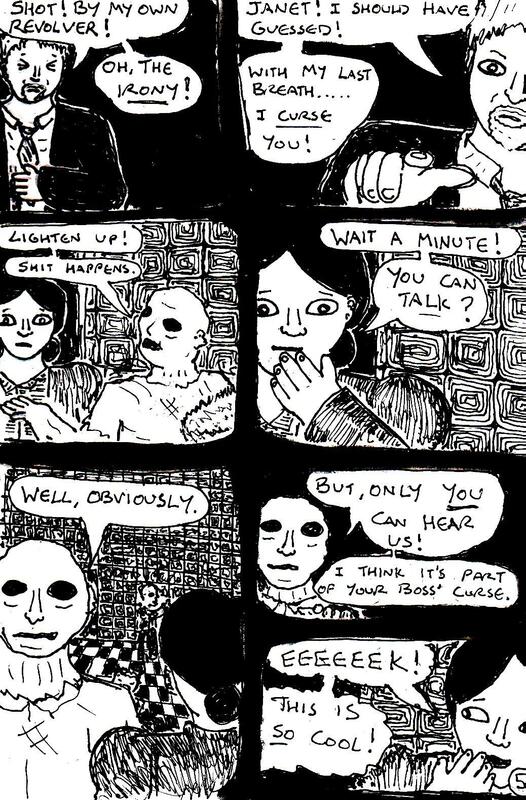 Surprisingly, although the art in this page was fairly simple, it took me a surprising amount of time to think of the dialogue for the third panel. And, long-time readers of my comics (from before I even started this blog) might even spot an in-joke in this panel too. Shock! Horror! Unforeshadowed plot twist! 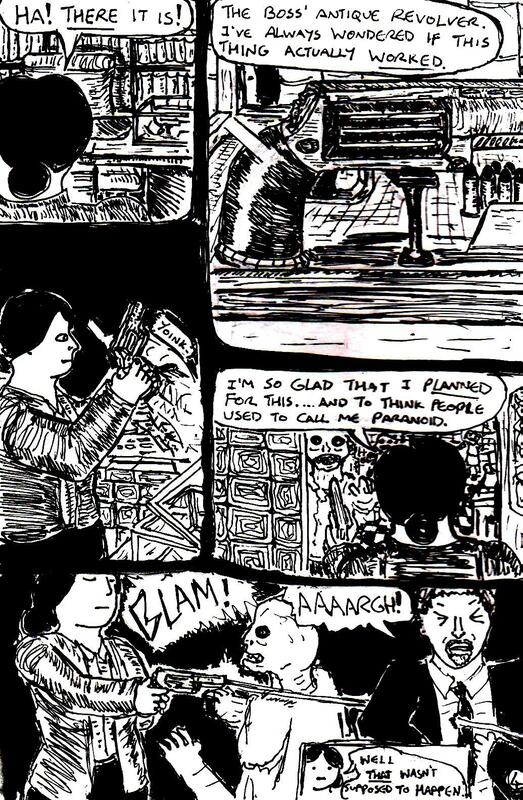 Yes, what else could be but another page of my “so bad that it’s good” retro sci-fi zombie comic – “Dead Sector”. Interestingly, this page pretty much wrote itself. 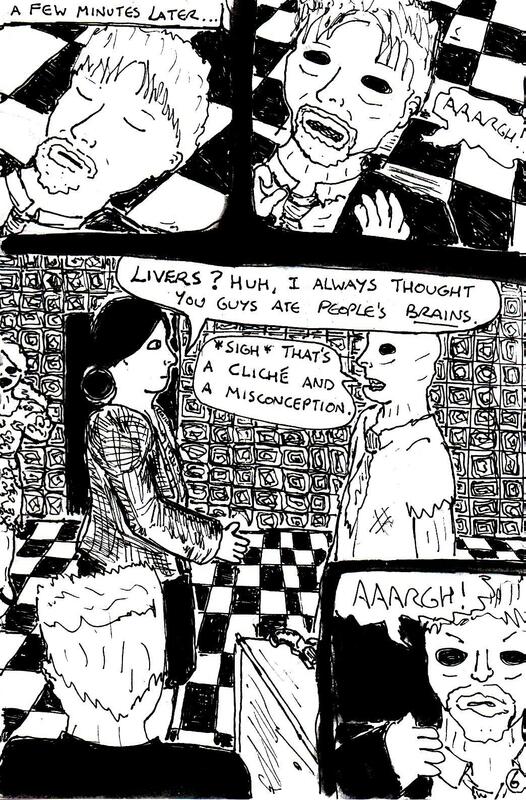 That is, except for the last two panels, which took a surprising amount of time to think out. Stay tuned for another page tomorrow. Yay! Contrivance and melodrama! 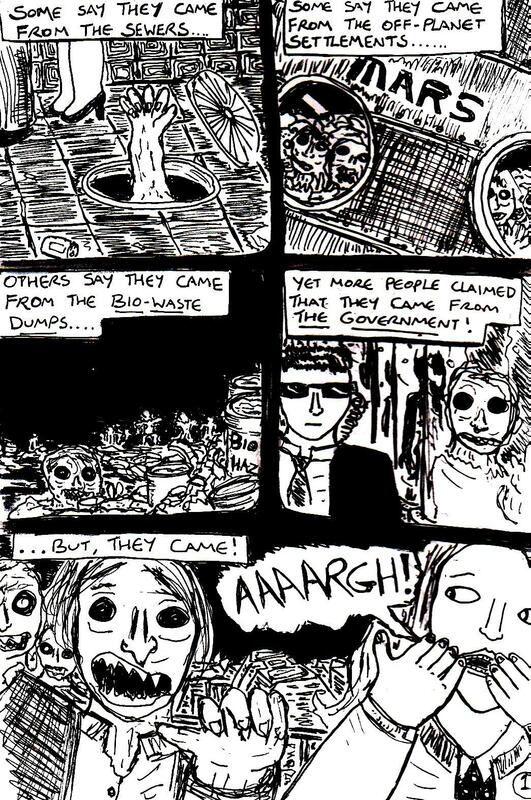 What else could it be, but the fourth page of my “so bad that it’s good” retro sci-fi zombie comic – “Dead Sector”. Well, this page ended up being slightly more “serious” than I expected. Still, stick around for a slightly more amusing page tomorrow (well, it’ll be amusing if you’ve got the same dark and twisted sense of humour as I do). Well, I am very proud to present the third page of my “so bad that it’s good” retro sci-fi zombie comic, “Dead Sector”. 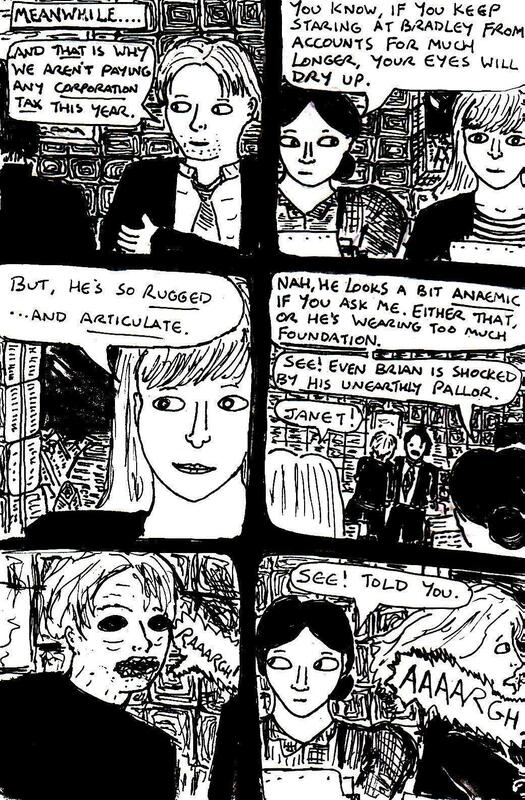 Anyway, I’m quite proud of the art in this page, even if it ended up containing less humour than I had hoped. Stay tuned for another page tomorrow.